Check out the brands of car stereo headunits and radios we offer sales & installation here in Melbourne that have options like bluetooth connectivity, Apple CarPlay, Android Auto, GPS navigation, touchscreens, video playback, backup camera ready, and many other great features. Alpine Electronics is one of the world's largest manufacturers of premium car audio, navigation, and information systems. 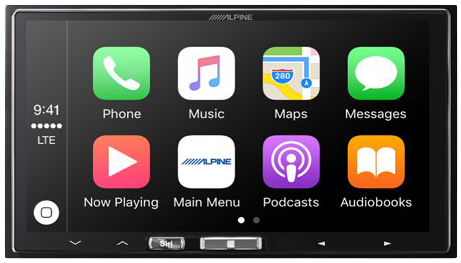 We are proud to be an Alpine authorized dealer offering sales and installation in Melbourne for all Alpine car stereo products. Alpine utilizes leading edge, digital technology in pursuit of excellence in sound reproduction. With the vision of combining music, visual images and information, Alpine's Mobile Multimedia systems exceed concept expectations for a new kind of driving experience for the next century. 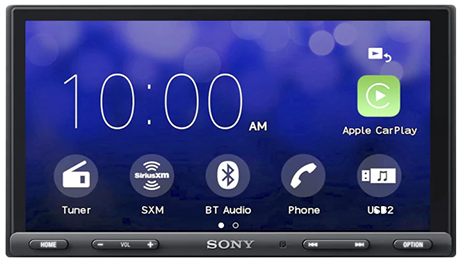 Upgrade your ride with the ultimate car stereos headunits with GPS Navigation, Apple CarPlay, Android Auto, Bluetooth, HD Radio, and SiriusXM. Pioneer continues to be a leader in the industry with top of the line features, technology, and styling. 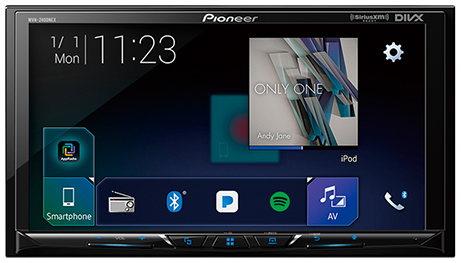 We are proud to be authorized dealers of Pioneer products offering sales and installation in Melbourne for all their great headunits and radios. The leader in smartphone connectivity for YOUR vehicle. Access phone, apps, music or even navigation right in your dashboard. Professional car stereo headunit installation in Melbourne at a level of quality you cannot receive anywhere else! Bluetooth’s technology and hands-free capability of your mobile devices is great because it helps to keep the roads safer, but like most other benefits, there is so much more than that. With both car and smartphone using Bluetooth, the popular apps that you have on your phone can now be accessed through your car. In addition to that, when you need to make a call through your car, the entire phone book will be literally at your fingertips, or should we say, at the tip of your tongue. Apple CarPlay, the smarter, safer and more fun way to use your iPhone® in the car. CarPlay takes the things you want to do with your iPhone while driving and puts them right on your car’s built-in display. You can get directions, make calls, send and receive messages, and listen to music, all in a way that allows you to stay focused on the road. Just connect your iPhone and go. With your Google Assistant on Android Auto, you can keep your eyes on the road and your hands on the wheel while using your voice to help you with your day. Simply say, “Ok Google,” or in compatible cars, long press the voice control button on your steering wheel. Get real-time traffic alerts to avoid hazards, speed traps, and find the fastest route. Or take a break and find a bite along the way. Your Assistant can help you call phone numbers from your contacts, chat with your favorite apps, read your messages aloud and text back, keeping your hands on the wheel. SiriusXM satellite radio offers over a hundred ultra-specific music channels, such as 80s hair bands, 90s grunge, and classic soul/Motown. There are even music channels dedicated to single artists or bands like Pearl Jam, the Grateful Dead, and Bruce Springsteen. Satellite radio uses a digital radio signal, offering crystal clear audio no matter where you go, so you can keep rocking out. Howard Stern! All satellite radio programs are uncensored, whether it’s racy talk radio or hip hop songs that are normally full of annoying beeps when they play on local radio. 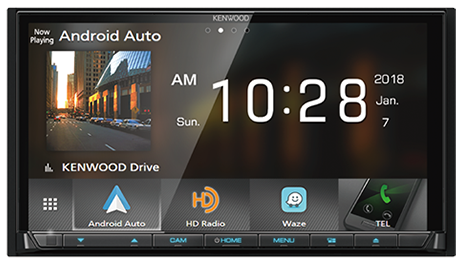 Kenwood offers many different models to choose from with many of the awesome features like bluetooth, Apple CarPlay, Android Auto, GPS Navigation, and much more. High definition audio, high definition touchscreen displays, smartphone connectivity, and advanced GPS navigation. Enjoy smooth and simple control for every journey, with responsive touchscreen displays that wake up fast, and dual USB ports, for more music options on the go. Smarter driving with intelligent voice control. Apple CarPlay and Android Auto capable units available.